Most parents agree that traveling with children is worth the hassle. When we expose kids to different cultures, we broaden their perspectives and show them how the world is made up of various life styles and so many types of people. By taking kids out of their comfort zone, we teach themto deal with unexpected situations. Coping skills, like knowing when to make snap decisions or when to just go with the flow, are essential to safe and successful travel. But what if you don’t have the time, money or inclination to plan a big trip? Can your family get the perks of vacationing without hopping on a plane? The truth is, a well-planned “staycation” can be as eventful and satisfying as a big-ticket trip across the globe. If you live in a city, numerous local tours are offered every day. For example, in NYC there are neighborhood double-decker bus tours, water taxi tours (that highlight The Statue of Liberty), wildlife tours in Central Park, and street art tours (to name a few). When the tour is complete, you’ll never look at your surroundings in the same way! Everything will be infused with new meaning; everyday activities will be enriched by whatever facts and figures you learn. You may be embarrassed to pull out a guidebook in your own neighborhood. However, if you adopttourist personalities (with outfits to match! ), we bet you’ll feel free to view your hometown in a fresh and surprising light. Use the guidebook to look up little known places. Have fun learningbits of colorful history that you’d never have discovered on our own. The kids will love impressing visitors (even other locals) with their eclectic knowledge! Check out local craft fairs, markets, or music festivals. Make a point to talk with the artists about their offerings. Encourage the kids to inquire about the crafts, where the artists live, where they get their inspiration etc. When you get home, look up the artistic styles of other cultures to see how they differ. Consider creating something inspired by what you saw on display. A great activity is to prepare a meal(s) following the recipes and traditions of another culture. For example, cook up an Indian entrée and a Swedish dessert. Set the table according to Japanese customs. The way food is handled, presented and received tells a lot about a culture and community. What’s more, sampling various cuisines (especially at an early age) can foster an appreciation of unique foods and expand a young palate. Spanish Tuesdays? French weekends? Italian afternoons? Challenge your family to learn a new language! Even the youngest member can learn the basic vocabulary of another culture. Set aside a specific time to study, but make it fun. Consider watching foreign (age-appropriate) videos or read a story in another language. Have each person make a list of words and sayings they want to learn and then teach each other. What do typical birthday parties look like in other countries? How about major holidays? What are some celebrations that we’ve never heard about? Research how others around the world mark milestones like birthdays and commemorate traditional holidays. Plan and throw a party following the customs of an unfamiliar culture. If you’re still feeling inspired, go ahead and make up your own special holiday! 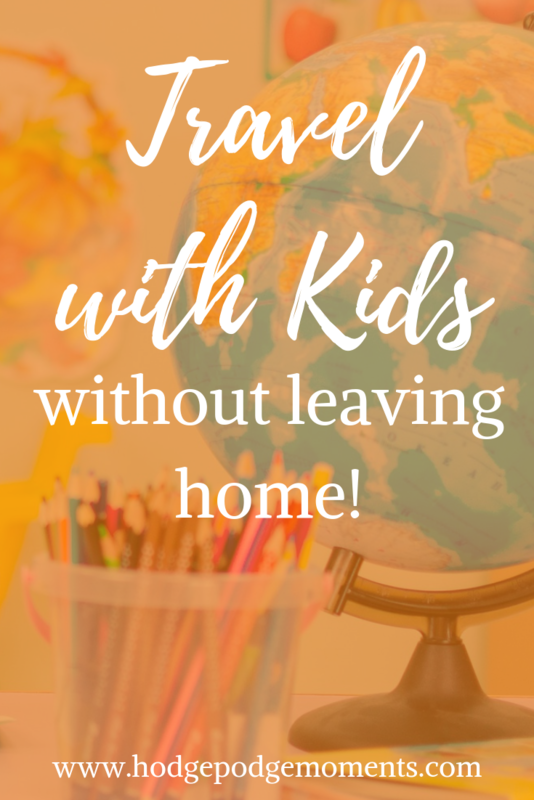 A bonus: allow kids pack to their own overnight bags to give them a sense of independence and responsibility – two traits that go hand and hand with traveling. Pretend you’re visiting the wilderness and fill backpacks with essentials like water, snacks, blankets, and pitch a tentin your backyard. If you don’t have an outdoor space, move furniture around and set up camp in your living room! When you’re all together and cozy in sleeping bags, share stories of the great outdoors or thrill each other with scary tales! Eating in a restaurant requires patience and good manners and a willingness to try new things. So go ahead and make reservations at an unfamiliar establishment that you think will satisfy everyone. Sample each meal and discuss how eating out in other countries might differ. If you let it, technology can steal the spotlight on a staycation. So act like you’re out of town and turn off your devices! Engage your voicemail, activate automatic email responses and let your friends and family know you’ll be off the grid for a little while. By making the effort to disconnect, you’ll have the chance to get closer to your family and enjoy a truly bonding experience. 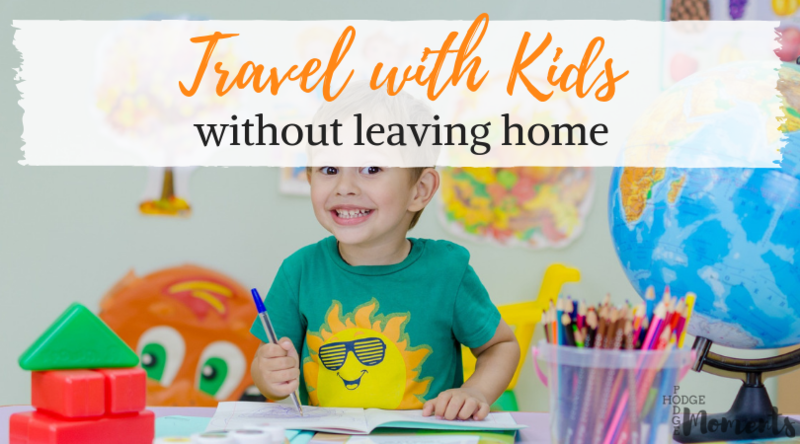 A memorable staycation requires some planning, but there’s less prep time and fewer expenses than, say, a traditional family trip to Disney World.Your kids will still learn what it’s like to travel, but remain within their comfort zones. What’s more, staying home this summer will allow you to finally enjoy those things that you’ve shelved for a rainy day. So go ahead and find creative ways to invite the world into your home. Samara Kamenecka is a VA specializing in SEO and writing, based in Madrid. When she’s not chained to her desk working, she likes to explore the city with her boyfriend, their two kids and their dog. 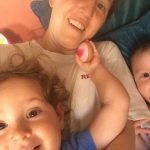 She shares everything from epic gift guides to her experiences with baby-led weaning over at www.tinyfry.com. She also pins her little heart out on Pinterest.